Four new books! I am preparing a talk for Text Marks the Spot, the schools program of the Bendigo Writer’s Festival, so right now, I am reading, reading, reading. Which is great, as we’re in the depths of winter and there is nothing nicer than snuggling up with a cup of tea, a nanna rug and a book. That being said, I really, really like books that aren’t too long! It’s great to find a satisfying read that isn’t a marathon. Short doesn’t have to mean simple, just as simple language can tell a complex story. How to Bee (reviewed earlier) is one example. 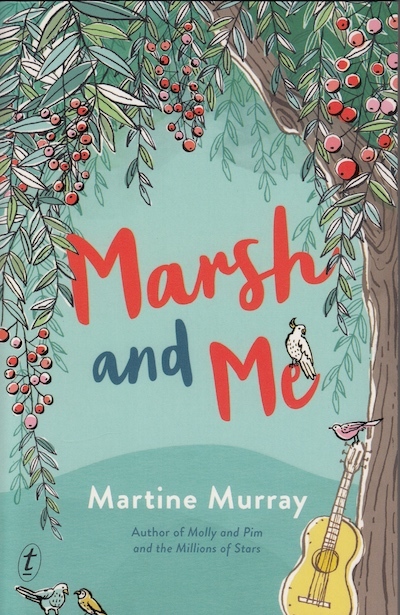 So is Martine Murray’s lovely Marsh and Me. Joey Green is a good kid. He’s kind and smart and funny, but just not the sort of boy who gets noticed. He’s kind of hesitant. He lacks confidence. He’s so scared of failure that he doesn’t try. He plays guitar and would love to take part in The Battle of the Bands – he’d like to be friends with some of the kids at his school – but his doubts are holding him back. At school, there’s a footy match on at lunchtime. The guys are all playing, except for me and Digby. Digby is watching a trail of ants. So he isn’t talking. I am sitting in the sun, half watching the guys, half wishing I was one of them, half glad to be just sitting there and not showing how bad I am at ball stuff. I know that’s a lot of halves, but that’s what it’s like inside my mind. It doesn’t add up neatly. When he meets Marsh – a most unusual girl in a tree house – Joey’s life begins to change. This is a gentle, thoughtful book about friendship, music, taking chances, risking failure – and above all, how you can enter into the mysterious inner lives of other human beings. 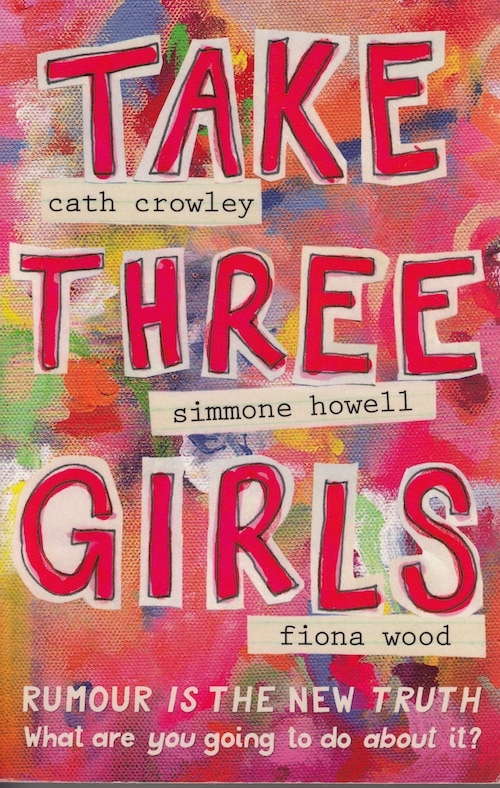 Take Three Girls is a collaboration between 3 well-known YA writers, Simmone Howell, Fiona Wood and Cath Crowely. Three very different girls – Ady, Kate and Clem – are taking part in a Wellness Program at their posh private school, St Hilda’s. They’ve all been smeared by PSST, a misogynistic cyber-bullying website. This is a compelling look at life as a 16 year old in Year 10, and it’s definitely for “young adults” – maybe readers from 14 or 15. Lots of questions are raised. How do I know who I am? What I want to be? Is belonging the same as fitting in? Do I have to do what I’m expected to do? Expect to explore issues of friendship, honesty, love, sexuality, change, and courage. It’s also pretty funny in parts, so expect to laugh as well. 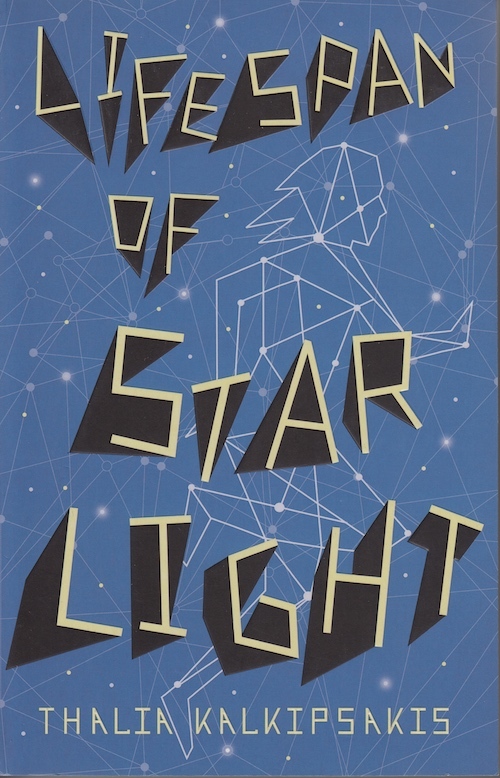 Lifespan of Starlight is #1 in a trilogy by Thalia Kalkipsakis. It was first published in 2015, and actually slipped by me then. It’s speculative fiction (as we seem to be calling sci-fi these days) and deals with time travel. As we begin the book, the future is now – it’s 2084, Melbourne. Unequal, surveilled, grimy and run-down, with food and water rationed, every citizen is supposed to be chipped so that each aspect of their lives – where they go, what they do, how much they spend – is monitored. One day, in a park in Footscray, an unchipped, illegal teenager called Scout makes a shocking discovery. Soon, she and two friends are pushing the limits of what’s possible as they test the ability to move around into the future.The authorities are closing in. Are they desperate enough to risk everything they know? This novel is speedy and exciting, with superior world-building. #2 is Split Infinity and the 3rd instalment, Edge of Time, has just been released. This is for you, if you you’re into dystopian fiction and would like to hear an Australian voice. From the future to now. World building usually is used in reference to fantasy or sci fi titles, but in this case, I’ll use it in reference to Ellie Marney’s White Nights. Ellie’s the author of the best-selling Every trilogy, which reimagined Sherlock Holmes and Dr Watson as a couple of Australian teenagers. Here, she has created a realistic and believable small country town as the setting for this novel. Teenager Bo Mitchell is a good kid. He’s into sport, he loves his family and friends. So far, so ordinary. Then Bo’s family life starts to get seriously messy. And he befriends the new girl in his class, “feral” Rory, who comes from an alternative, secretive, off the grid community called The Garden of Eden. Secrets, lies and obsessions can have devastating consequences. 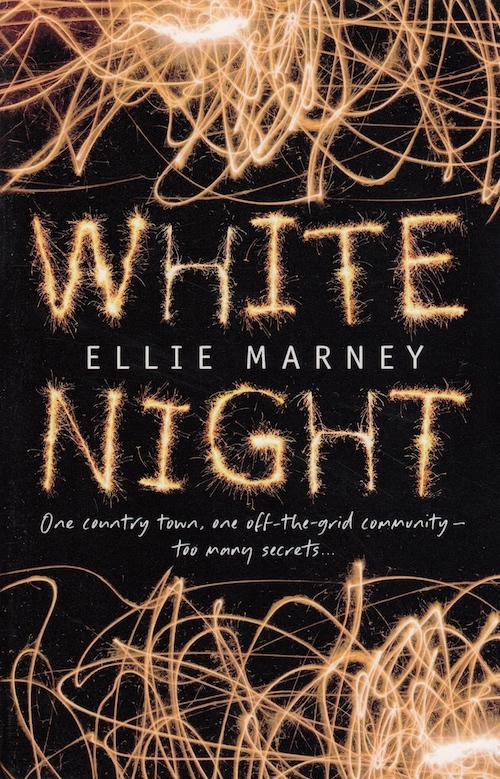 This has Ellie Marney’s trademark suspenseful plotting and gritty characterisation.